How do you know when to fight? 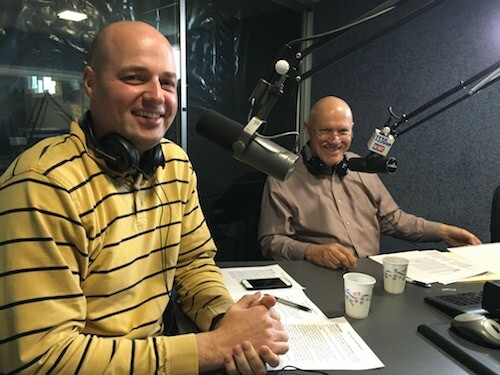 For their first show in the new prime time slot, Jack Mencini and Adam Sonnhalter, co-hosts of Dirty Secrets of Small Business, which airs live on Wednesdays at 7:30 pm (EST) on WITN 1330 AM and 101.5 FM, discuss the thorny topic of: How do you know when to fight? 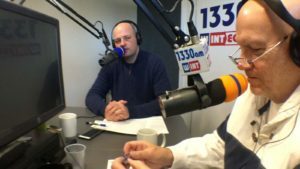 They are covering this subject as it relates to small business issues and taking a stand to fight for your position and also discussing being too afraid to stand up for yourself and your beliefs. Adam started the discussion with the question: Will you fight at all costs? If someone pushes you, are you one of those people who pushes right back and wants to fight because that was how you were brought up? Is it part of your nature to react in that way? If you have been in business for a while, you will probably know if someone has that fight or flight mentality. Some business people will fight even if they are in the wrong …no matter what the consequences may be. Other people, even if they are in the right, won’t engage in controversy or start the fight. But, overall how do you know when it is right to fight? Most humans don’t want to admit their mistakes. For many men in our current culture, a man will never stop to ask for directions or admit that he is wrong. Jack interjected that maybe a man just feels misunderstood. More often than not, the mentality is that it is often hard to admit a mistake and apologize. How do you know when it is the right time to fight? For more info on when is the right time to fight and insights on the value of understanding your small business financial statements tune into this week’s May 3 podcast on iTunes or http://maximumvp.com/dirty-secrets-small-business-radio-show-podcast/ or call Jack or Adam for help with your small business challenges at 877-849-0670. You can also call in during the show each week when you are listening on Wednesdays at prime time 7:30 pm (EST) on WINT 1330 AM and 101.5 FM. Or call 440-946-9468 to ask your question to the Maximum Value Partners’ coaches or tweet your question to @MaximumVP. The post How do you know when to fight? appeared first on Maximum Value Partners. Why are the small guys ignored?